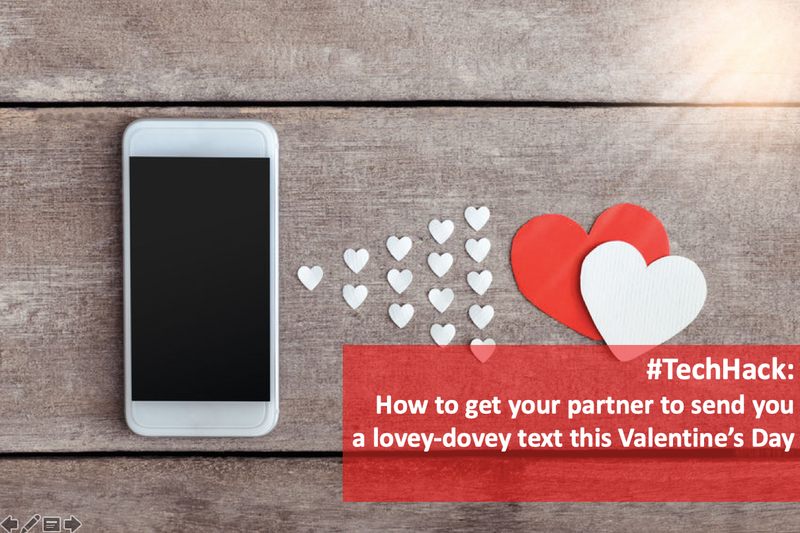 Not getting the lovey-dovey text you deserve this Valentine’s Day? Fret not! We are here to save your day. 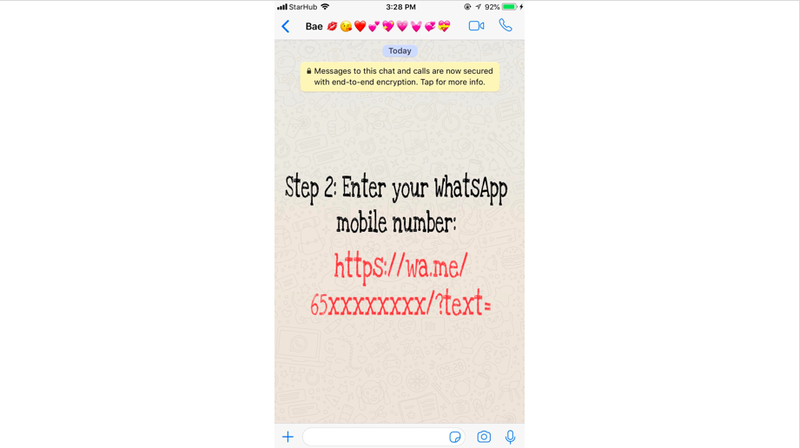 Simply follow the steps below and nudge your partner with this cool WhatsApp Hack. With lots of love, from all of us at GovTech. 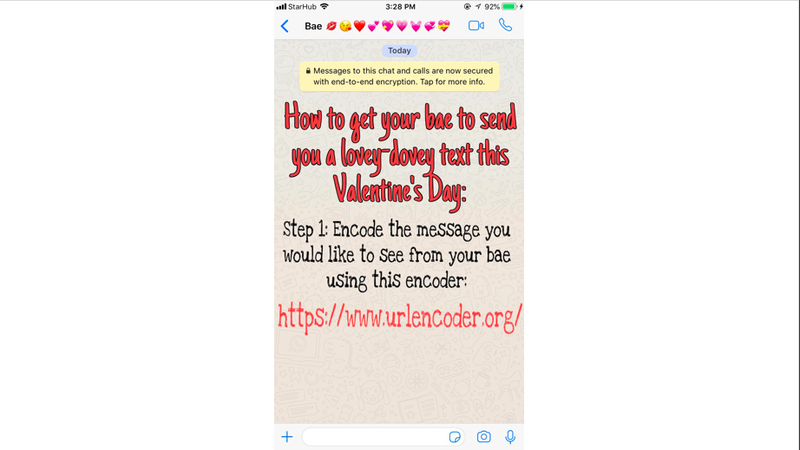 Step 1: Encode the message you would like to see from your partner using this URL encoder: https://www.urlencoder.org. 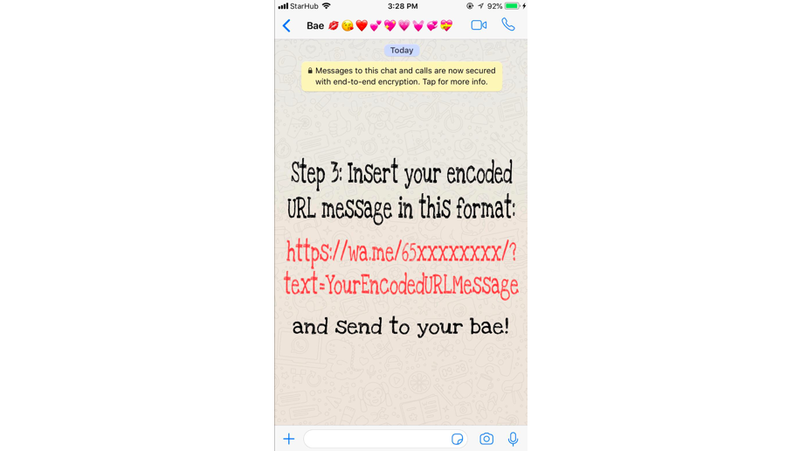 https://wa.me/65xxxxxxxx/?text=YourEncodeUrlMessage and send it to your bae! Here are some sample encoded messages you can consider for a start. Insert your WhatsApp mobile number and give it a try.